Annabel is currently focussing on painting still lifes in oil. Using a very limited palette and working from life, she looks intensely over many hours at the layers and depths of colour and tone in each subject. With this deep observation more and more colours surface which belies the apparent simplicity of the subject, and she takes great pleasure in discovering the rich tones that she can then apply to each piece. 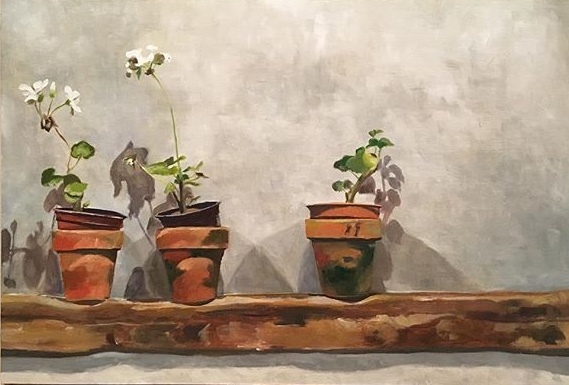 Following an oil painting course at West Dean College and several master classes at Quiddity Fine Art, Annabel went on to complete a year’s foundation in Winchester and a separate specialist oil painting course.